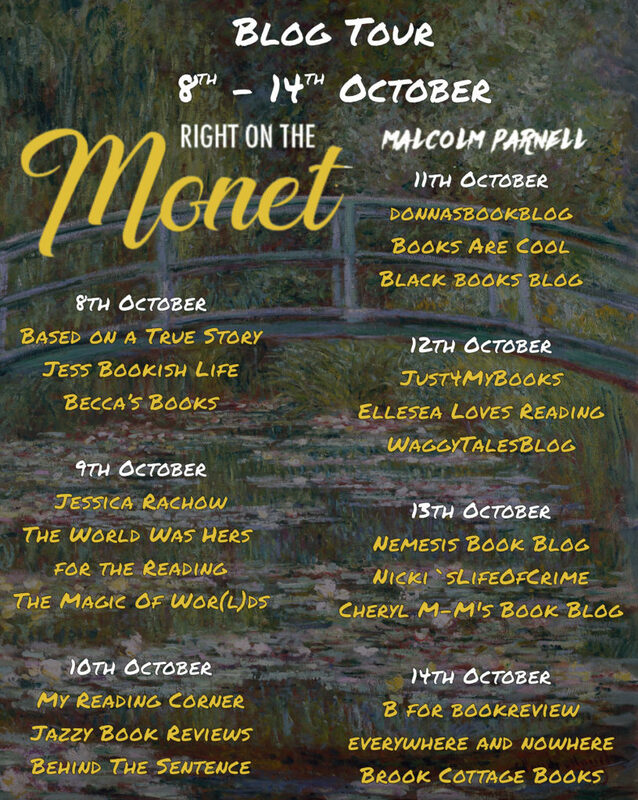 I’m so pleased to be taking part in the blog tour for this sparkling cosy mystery. Of all the things Harry Chase had imagined in his life, being a drummer on a cruise ship band was not one that would have occurred to him. And yet, there he was. Centre stage, behind a young female singer along with his mates, Dave, Tony and Steve. Which meant that getting involved in a jewellery theft, an on-board massage parlour and the hunt for an Old Master was even further from his mind as he cracked the snare drum. 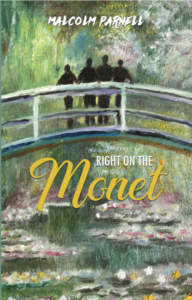 And yet, this was exactly how he found himself being questioned by Interpol …..
I’m a huge fan of cosy mysteries, and especially ones with witty titles, so how could I resist ‘On the Monet’? And I’m so glad I couldn’t, because it’s a super book. Harry, Steve, Dave and Tony get together and form a band. To everyone’s surprise, especially theirs, they’re actually quite good, especially once they call on Clem to be their vocalist. Through her they get the opportunity to preform on board a cruise ship to replace a band that’s pulled out. They accept the job, and things get off to a great start. Then two of the band get injured whilst fishing, and the show can’t go on. This, however, frees up the group to start investigate some slightly odd goings-on aboard the ship which end up being linked with a major art theft. The story moves at a cracking pace, and we’re permanently kept guessing. Malcolm Parnell drops clues to tantalise us but it needs his ingenuity to work them altogether into such an enjoyable and exciting denouement. The author’s expert knowledge of art adds a rich and fascinating layer to the story. I found the author’s style a delight to read. It really flows and is warm and enveloping. When his characters converse it’s like we’re there, as part of their group. They’re funny, kind people and all immensely likeable. This is a lively book delivered with confidence and humour by a talented author. A total joy. And what a great cover! 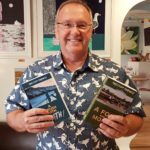 Malcolm Parnell has a passion for painting and teaches art and drawing skills when he is not working on his next novel. His other passion, apart from his good lady wife, Marion, is Leicester City Football Club. Becoming an author and Leicester win the Premier League have been two of his greatest ambitions realised. Posted in Book reviews, book tour, Cozy mystery, Fiction.Tagged art, humour, musi, mystery. Thank you Stephanie for your super review and kind words. As an unknown author who needs all the help he can it means a lot.